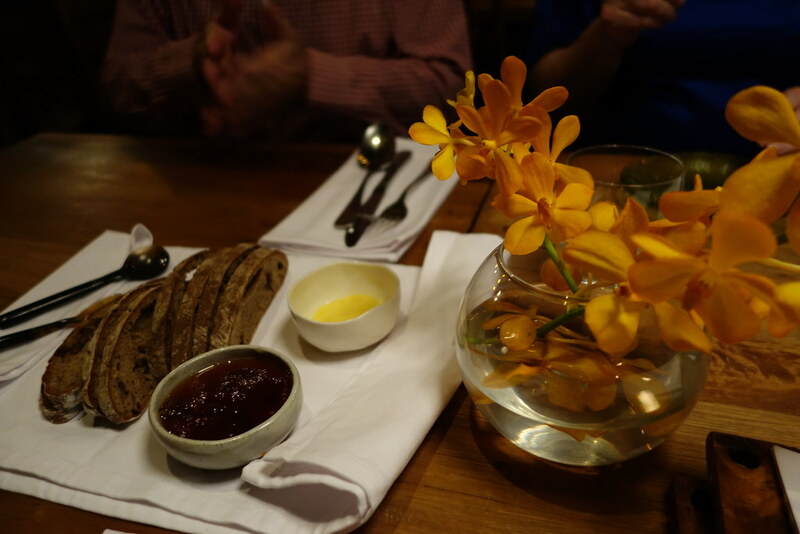 A year or so ago I wrote about the amazing food over at The Common Tiger. 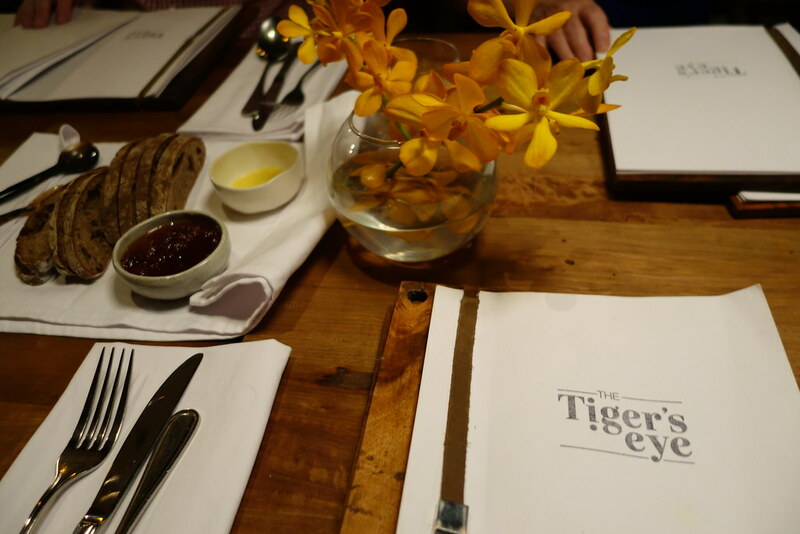 Since then, The Common Tiger has sadly permanently closed its doors – but the same team are still creating the same stunning dishes at a new location, The Tiger’s Eye on Sotheros Boulevard. 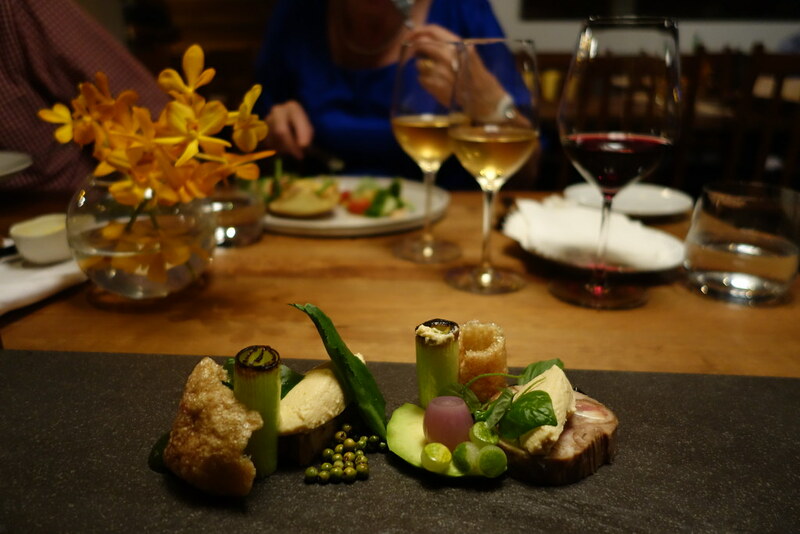 I say ‘same stunning dishes’ loosely, as the menu is still seasonal, but each dish is still as jaw-droppingly beautiful as it is delicious – just as it was back in BKK. 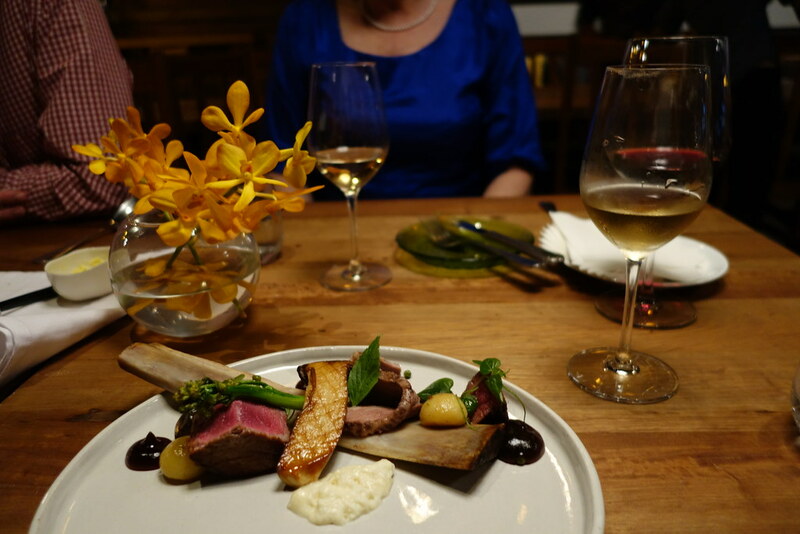 Booking in advance is strongly recommended (it’s very popular) – and you seriously don’t want to miss out on this tasting menu. I opted against the paired wines, as I’m quite a slow drinker – and downing several glasses of wine in the heart of the Christmas season is just asking for trouble. 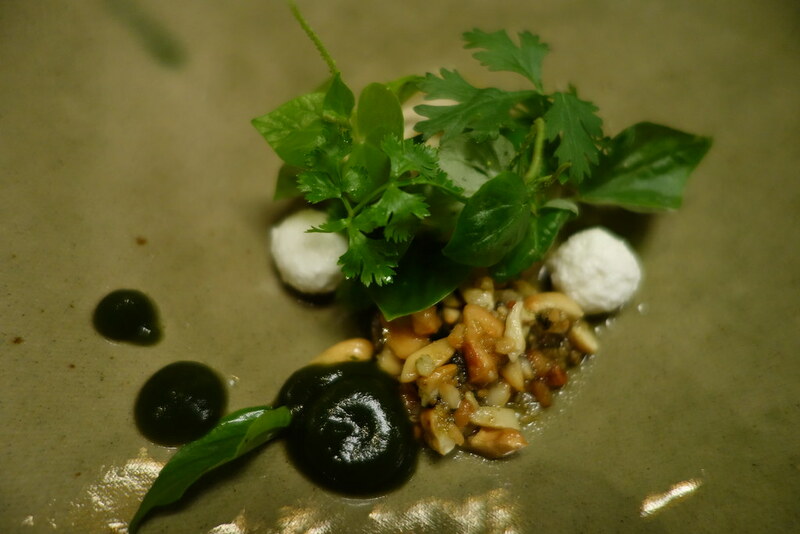 The first course after the bread was a white onion pannacotta served with a caramelised cashew nut pesto and goats cheese. 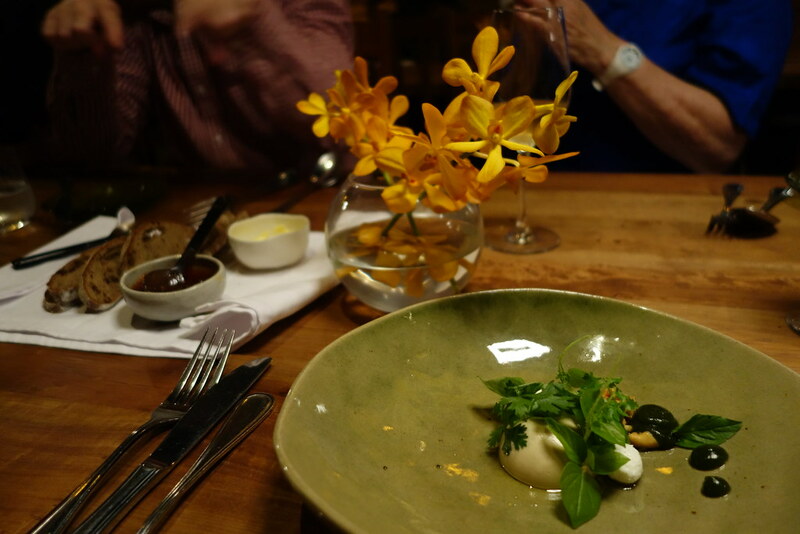 It was as mouthwateringly delicious as it sounds – I really enjoyed the texture of the savoury pannacotta. 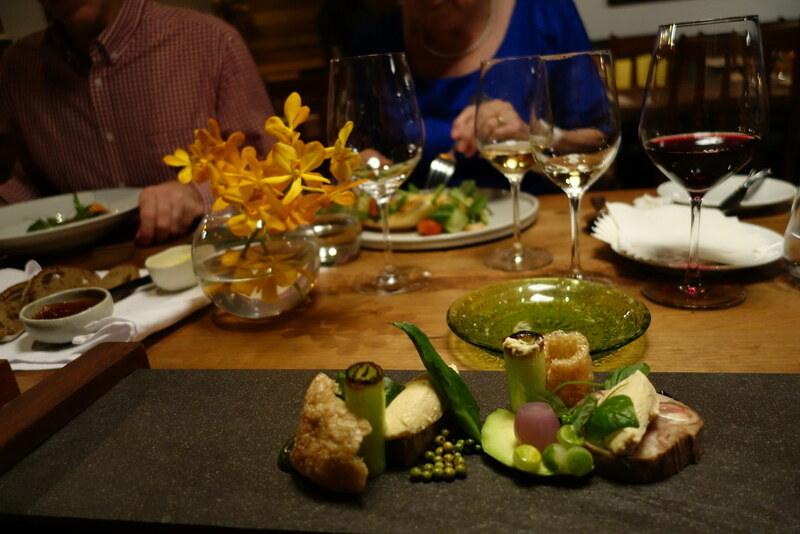 Next up was a pork course – pork crackling and a terrine of braised head, served with Kep crab, leek and avocado. 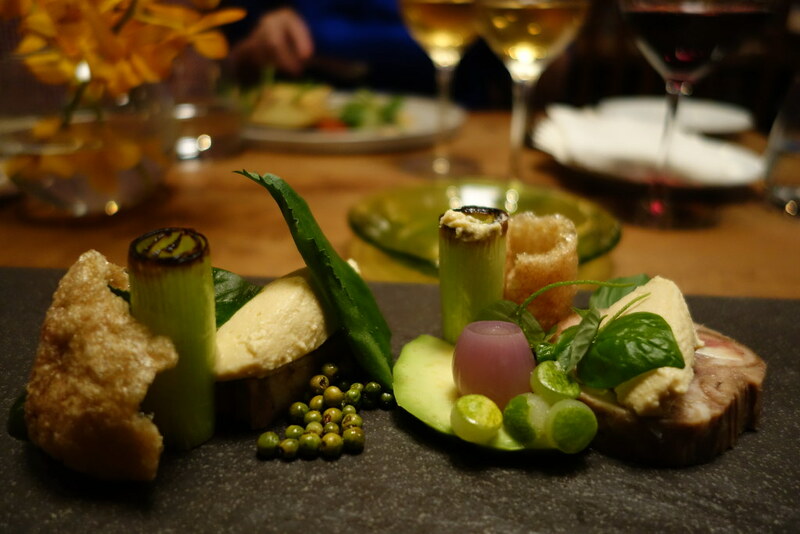 It was all so beautifully presented, and the braised leek with the crab pate was sublime. The pork crackling was my favourite part of this course, reminding me of the one from Kurobuta – flavourful, crisp, and light as air. This was followed by pan-roasted seabass served with a northern Thai style curry, aubergine, and rice. 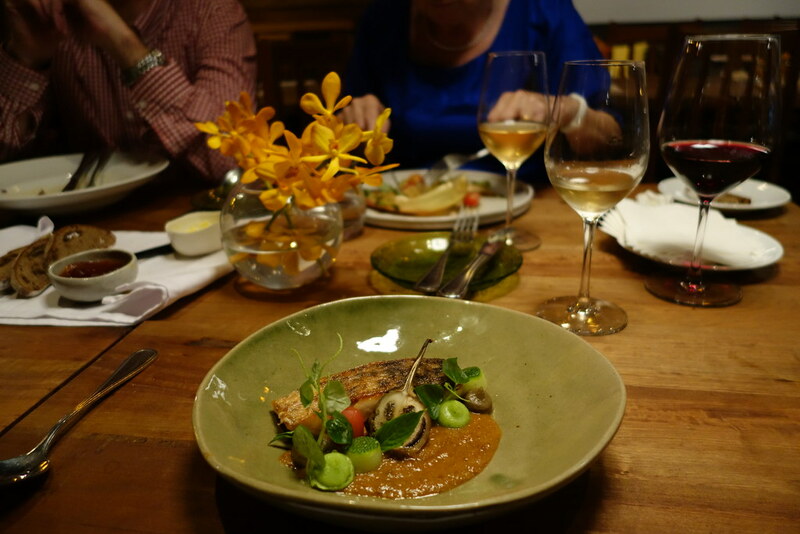 Although pleasant, this course didn’t blow me over the way the first two did – saying that, it was still really tasty, and I enjoyed the vegetables with the rich sauce in particular. 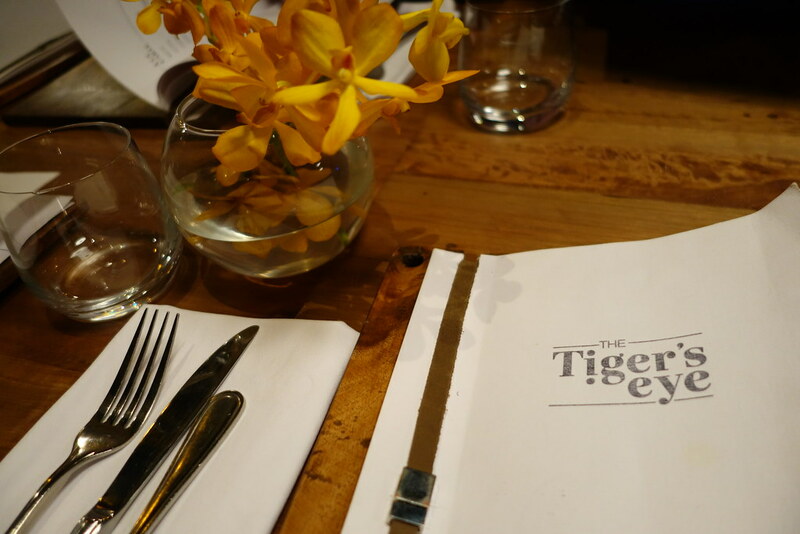 The final main was truly incredible, and really showcased what the team behind The Tiger’s Eye really excel at – the use of Cambodian flavours and ingredients in a modern and imaginative way. 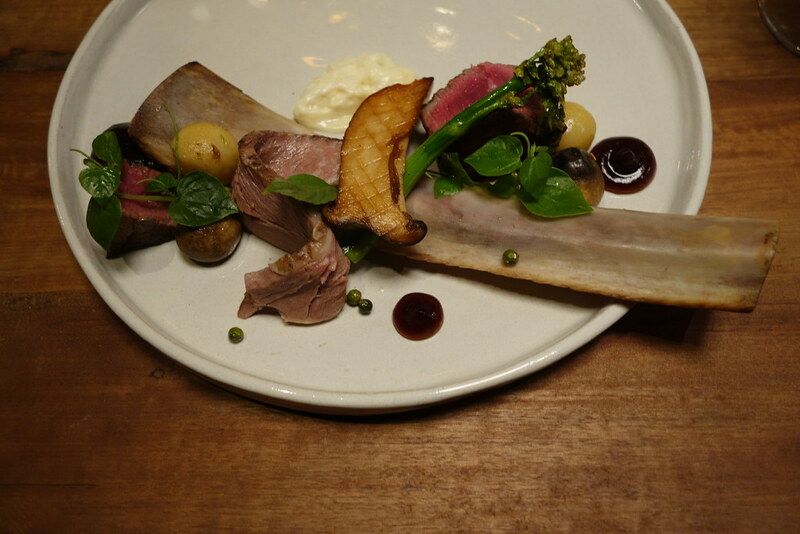 The beef tenderloin and short rib were served with green Kampot peppercorns, mushrooms and potato. 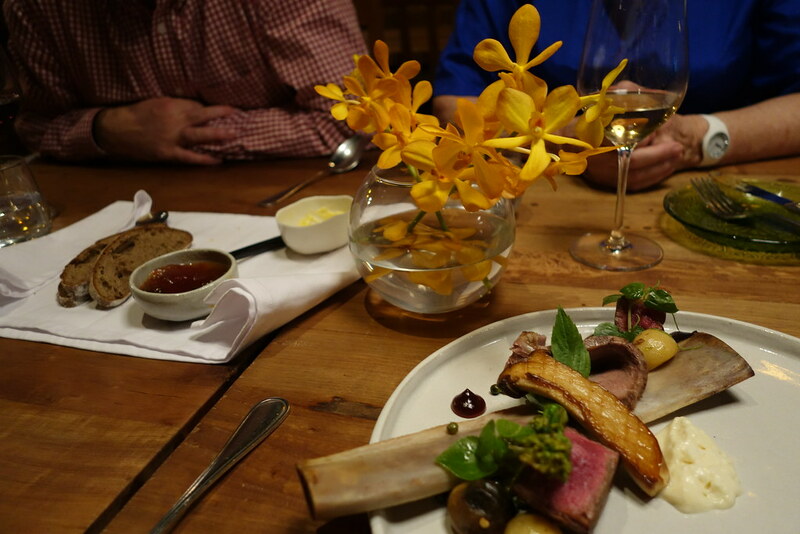 The steak was cooked to perfection, in my opinion, and the mushroom was flavourful and meaty in texture – just the way I like it. 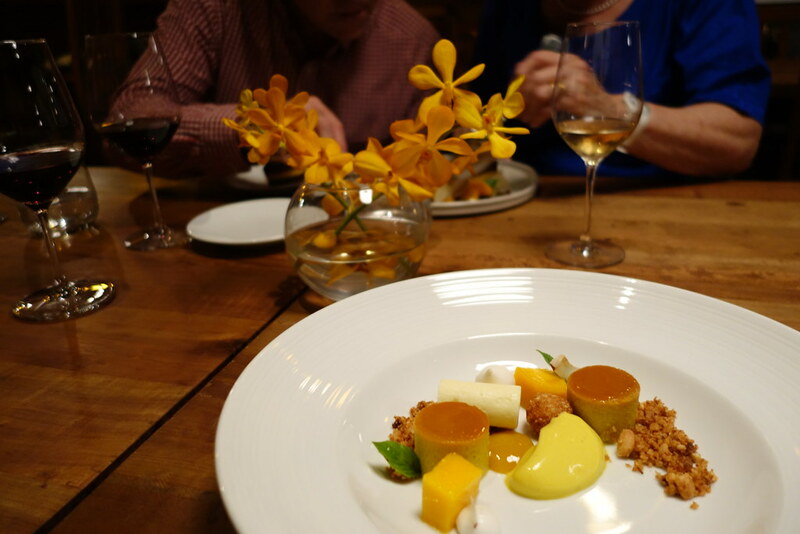 The final course was also inspired by local cuisine – a delicious pumpkin creme caramel, served with sticky rice and cashew nut. 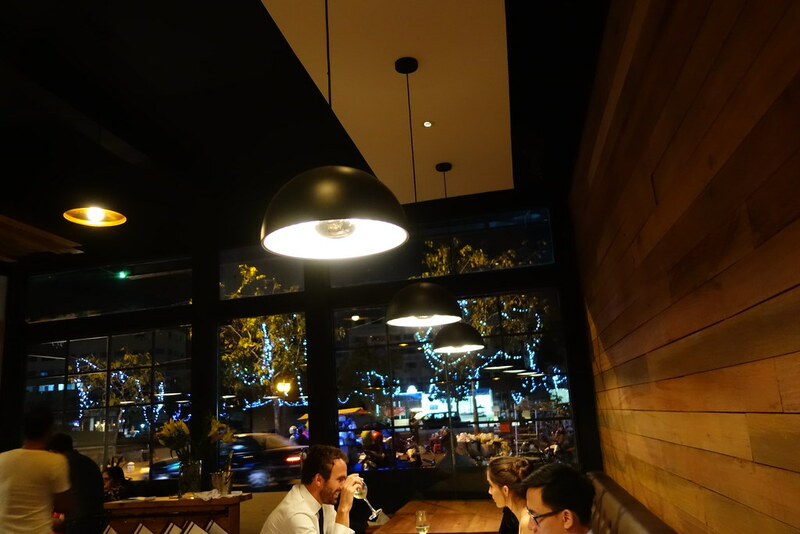 You really can’t fault The Tiger’s Eye for their food or service. 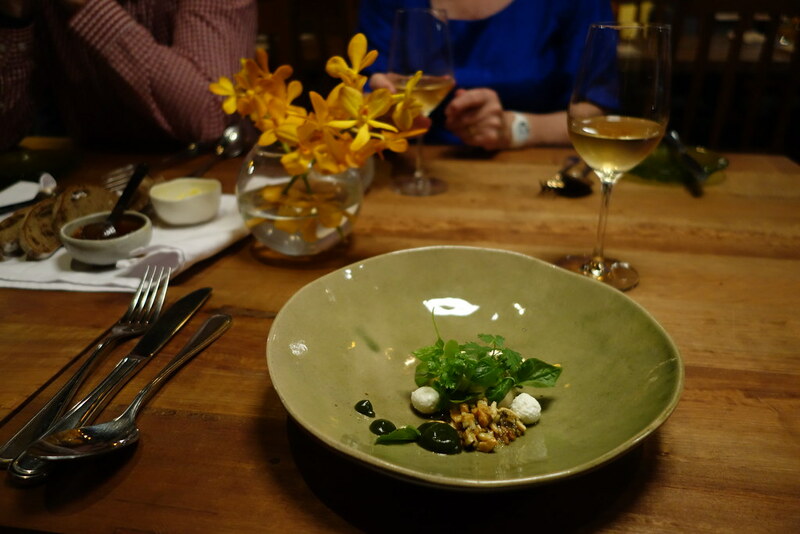 It is without a doubt one of my favourite restaurants, and the only drawback for me is the fact that it isn’t in London! The Tiger’s Eye is located at 49 Sotheros Blvd, Phnom Penh, Cambodia. What about you? 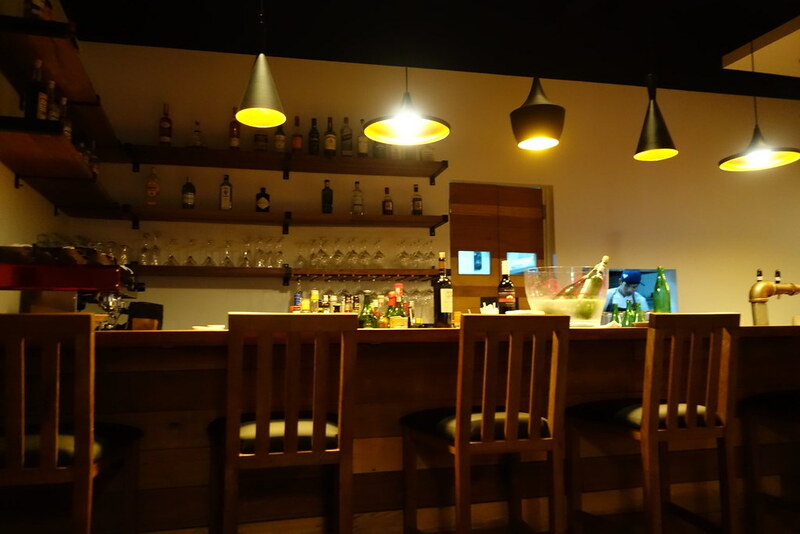 What are some of your favourite restaurants abroad that you wish were in the UK? Be sure to comment below, or let me know on Twitter, Facebook or Instagram! The food looks delicious and beautiful!